This packet sows up to 18 feet. A French variety also known as petit pois, meaning "baby peas", 'Iona' pods are half the size of regular peas, but rich in sweet pea flavor. A productive plant that often produces three dark green pods per node. Short vines to 28" do not require support. Disease resistant to powdery mildew, Fusarium wilt race 1, 2, and bean leaf roll 2. 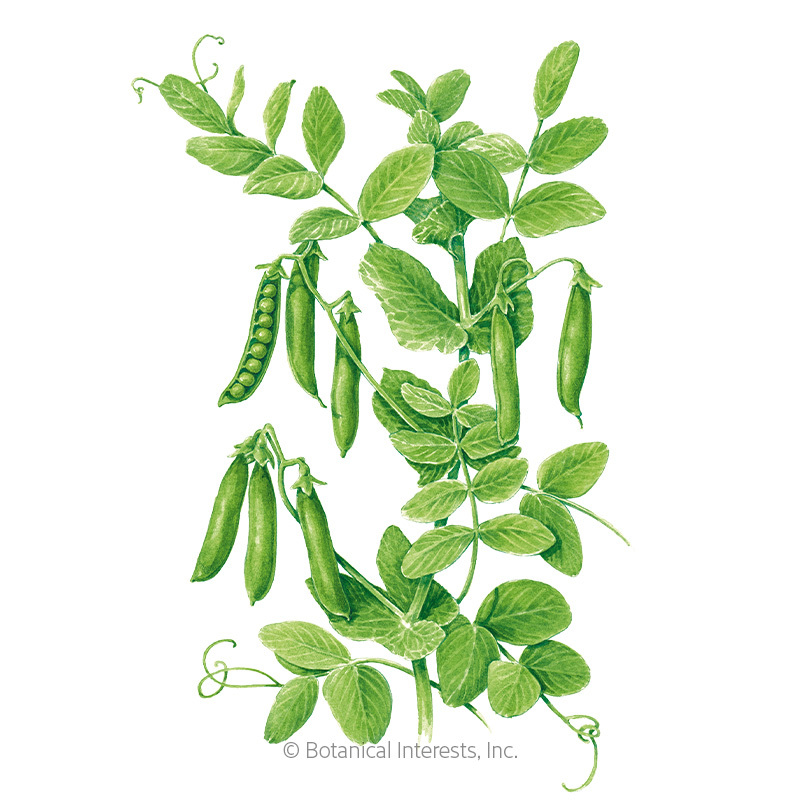 Variety Information: 3" dark green pods containing half-size, sweet, flavorful peas. 'Iona' is a shelling type, petite pea with resistance to powdery mildew, Fusarium wilt race 1 and race 2, and bean leaf roll 2.